With full confidence I can say- it was perfect! The beginning started with excitement and then moved into the slow build that I have come to know as Maria V Snyder's signature style. It was fantastic! The characters seemed older, which is appropriate considering how many years have gone by. I will say, Opal and her family are large characters in this story- so if you haven't read Opal's stories in the Glass series (Sea Glass, Storm Glass, etc), I would highly recommend it. I sadly haven't finished that series and it was referred to a few times. If you are a fan of Maria V Snyder, you will not be disappointed. 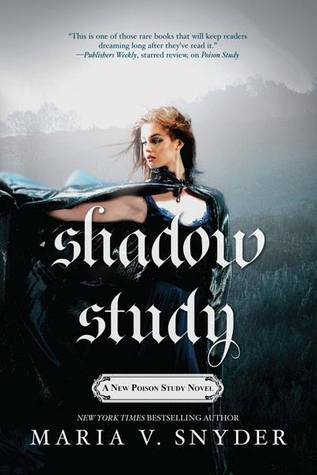 If you haven't read Poison Study yet- you need to go read THAT first. Trust me, you will be thankful!